Quite possibly the most useful tool for an endurance athlete in both injury prevention and treatment is a form roller. It is a cheap way for an athlete to provide themselves with a sport massage treatment. 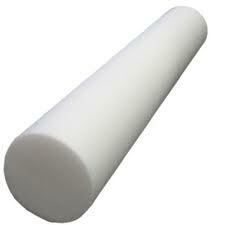 The foam roller not only stretches muscles and tendons but it also breaks down soft tissue adhesions and scar tissue. By using your own body weight and a cylindrical foam roller you can perform a self-massage or myofascial release, break up trigger points, and soothe tight fascia while increasing blood flow and circulation to the soft tissues. When using the foam roller you apply your own body weight to the foam roll, massaging away restrictions and restoring muscle function. When you feel a tight and painful spot, stop rolling and REST on the painful areas for 15-45 seconds. You may roll back and forth on the spot SLOWLY. Do not hold your breath! Try to slow down your breathing and apply more weight to the spot as you exhale. Position yourself side lying on foam roll. Top leg is in front of bottom leg. Maintain head in .neutral. With ears aligned with shoulders. Roll just below hip joint down the outside of the thigh to the knee. Roll out the ITB in thirds: top (just below buttocks), middle, bottom (just above knee). Sit with your calf on the roller. Support yourself with your hands behind you and raise your buttocks off the floor. Roll from the knee to the ankle.